Vermont Educators Strive to Leave No Child Inside | Features | Kids VT - small people, big ideas! The lesson plan for a recent morning's environmental science session for first and second graders in Shelburne: learning the difference between deciduous and coniferous trees; determining the gravity of liquids; measuring diameters. Only there's no chalkboard, and no walls of tacked-up diagrams, either — in fact, there are no walls at all. This class is taking place in the snowy woods and fields around the Shelburne Farms sugarhouse, where snowsuit-clad kids from the Shelburne Community School are learning how maple trees are tapped and sap is boiled to make the syrup. Linda Wellings, the director of school programs for Shelburne Farms, is leading a game that helps them ID maples. The farm's field-trip coordinator, Margaret Burke, clad in a black Carhartt jacket, has lined up empty gallon milk jugs to demonstrate just how much work goes into Vermont Grade A. "Are we going to get pancakes?" asks a first grader. Well, not today, Burke gently explains. But everyone here is getting something even richer than flapjacks: an educational experience embedded in firsthand exposure to the outdoors. Sounds simple enough, but, like the melting snow that pings the metal sap buckets here at Shelburne Farms, the intrinsic connection between children and nature is rapidly disappearing. The consequences of that disappearance are profound, say experts, who relate it to the rise of childhood obesity and attention deficit hyperactivity disorder. Today, up to 33 percent of kids and teens are overweight or obese. And 5.5 million children have been diagnosed with ADHD. Environmental literacy educators argue the No Child Left Behind Act of 2001 has only worsened the disconnect by forcing schools to invest more resources in math and language arts and less in science and social studies. Educators and parents are fighting back. 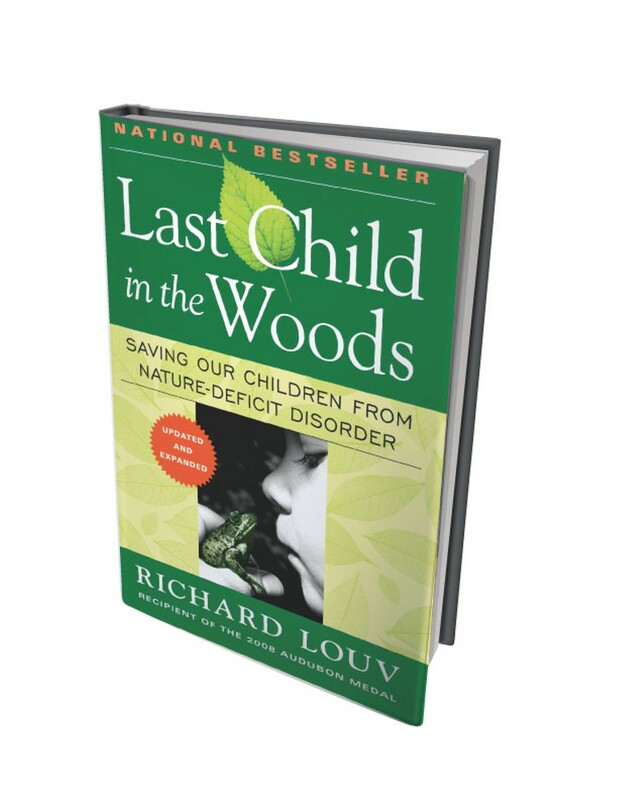 In 2005, journalist Richard Luov penned Last Child in the Woods: Saving Our Children From Nature-Deficit Disorder, which makes the case that children are suffering in myriad ways from losing exposure to nature. The book earned Luov a 2008 Audubon Medal and galvanized a national initiative, called No Child Left Inside, which has been working since 2007 to standardize and fund high-quality environmental education in grades kindergarten through 12. Luov's laments are no doubt familiar: When today's parents and grandparents were kids, they spent their lives outside — building twig villages, catching slimy water creatures, setting off cherry bombs. "Americans around my age, baby boomers or older, enjoyed a kind of free, natural play that seems, in the era of kid pagers, instant messaging, and Nintendo, like a quaint artifact," writes Luov in Last Child in the Woods. Yes, six years after Last Child was published, pagers, Nintendo and IM'ing also seem like quaint artifacts. "Within the space of a few decades, the way children understand and experience nature has changed radically." Luov contends that well-meaning school systems, parents and media are "scaring children straight out of the woods and fields." He argues that the broken bond isn't just making them obese or ruining their attention spans — it's spoiling their mental, physical and spiritual health. He dubs it "nature-deficit disorder," a term he coined himself. Luov's argument resonated nationwide, but especially in the Green Mountain State. "It's a very readable book," says Jen Cirillo, director of professional development for Shelburne Farms. "But for a lot of people around here, it was like, 'Duh, it's what we've been doing for a very long time.'" Cirillo is also on the board of directors for Vermont State-Wide Environmental Education Programs, whose members have been meeting since 1975. 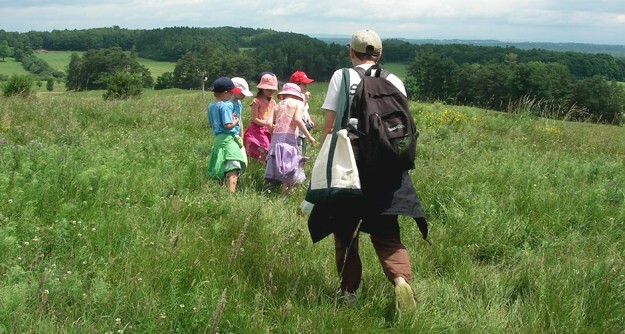 SWEEP board chair Lisa Purcell explains that fostering kids' connection to nature is vital for their health and for that of the planet, as well. "We need to have students who understand challenging global environmental issues," she says, "kids who understand the changes they may have noticed in the natural world and the impact it might have on human health. " Purcell is also director of Four Winds, one of the 16 Vermont members of the No Child Left Inside (NCLI) Coalition, which was formed "to alert Congress and the public to the need for our schools to devote more resources and attention to environmental education." The coalition now includes nearly 2000 groups representing more than 50 million Americans. One of its key missions is pushing through the No Child Left Inside Act, introduced on Earth Day 2009, which would give states $500 million to implement better learning through nature. The legislation is still stuck in Congress. But Vermont isn't waiting around. In an effort spurred by the NCLI coalition, some 20 Vermonters — representing the Department of Education, Agency of Natural Resources, farms and ski areas, among other groups — have created Environmental Literacy Vermont, which has been writing a K-12 education plan and working to synergize sustainability efforts throughout the state. According to the project's coordinator, Jen Brown, a series of statewide dialogues last winter has resulted in a document called the "Roadmap to Environmental Literacy for Vermont." It contains successful and replicable initiatives and will be available online. "Our hope is that as folks read the vignettes found in the Roadmap," says Brown, "that they'll not only be proud of what their neighbors are accomplishing, but they'll be inspired to get involved in some of these things themselves, or be motivated to start something important and new." All this talk of legislation is less motivating than actually getting out into the woods. In 2007, Gov. Jim Douglas launched the No Child Left Inside challenge in an effort to get children, and their parents, actively involved at state parks. Loosely affiliated with the New Mexico-based Children & Nature Network, which was cofounded by Luov, this initiative is less about environmental education and more about inspiring kids to build twig villages or catch slimy water creatures. "Vermont is lucky," says Purcell. "We have small classrooms and easy access to a natural outdoor environment. And our standards allow teachers to teach about sustainability and a sense of place." At Shelburne Farms, the first- and second-grade teachers say that this kind of learning has helped kids blossom, especially those who have been lost in the snowdrifts of traditional assignments. In a few moments, one group will head inside the sugarhouse to watch an agricultural educator scoop spiders out of the long-dormant evaporator. But first, after inserting a maple tap and hanging a bucket, the kids take a moment to hug the tree. —Sarah Tuff is the editor-in-chief of Ski Racing magazine and a frequent contributor to Seven Days. She lives with her husband and their two children in Shelburne. America's genius has been nurtured by nature — by space, both physical and mental. What happens to the nation's intrinsic creativeity, and therefore the health of our economy, when future generations are so restricted that they no longer have room to stretch? One might argue that the Internet has replaces the woods, in terms of inventive space, but no electronic environment stimulates all the senses. So far, Microsoft sells no match for nature's code. Nature — the sublime, the harsh, and the beautiful — offers something that the street or gated community or computer game cannot. Nature presents the young with something so much greater than they are; it offers an environment where they can easily contemplate infinity and eternity. A child can, on a rare clear night, see the stars and perceive the infinite from a rooftop in Brooklyn. Immersion in the natural environment cuts to the chase, exposes the young directly and immediately to the very elements from which humans evolved: earth, water, air and other living kin, large and small. Without that experience, as [psychologist Louise] Chawla says, "we forget our place; we forget that larger fabric on which our lives depend." 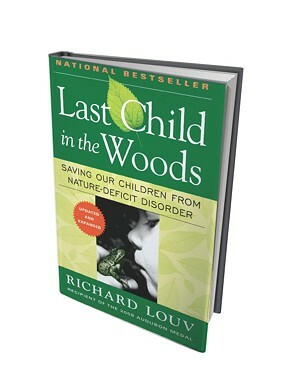 Last Child in the Woods: Saving Our Children From Nature-Deficit Disorder by Richard Luov, Algonquin Books, 390 pages. $14.95. Tags: Features, outdoors, books, nature, education, environment, Go Wild!